Gluten has been getting a lot of hate in the health community because of the ties it has with inflammation, allergic reactions and weight gain. There’s a lot to dislike about this glue-like food, which is why so many people are avoiding it like the plague. If you’re trying to do the same, you can consult with an integrative medicine doctor in Carbondale, CO about changing your diet. 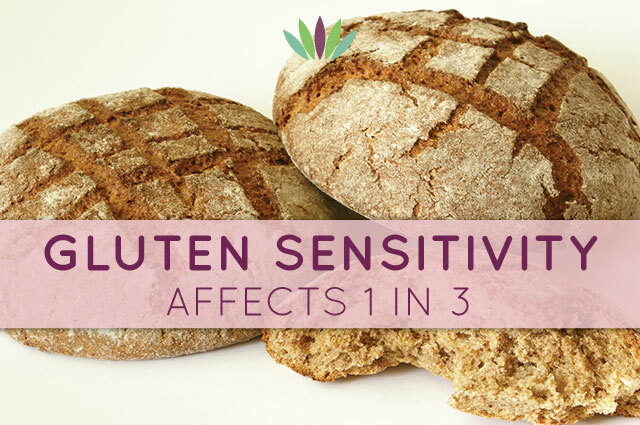 However, if you’re not convinced of why you should reduce or eliminate gluten from your diet, then you’ll find these following gluten sensitivity symptoms to be shocking. Diet isn’t normally tied to anxiety and depression, but there is evidence that shows gluten intolerance and Celiac disease are tied to these and other mood disorders. After removing gluten from the diet, depression and anxiety can be eliminated. Symptoms commonly associated with anxiety include difficulty relaxing and thinking clearly. Symptoms of depression include low energy, lack of interest and feelings of hopelessness. You can be diagnosed for these symptoms by an alternative medicine doctor. Treatments like vitamin B12 injections can also be used to alleviate symptoms of depression. Attention deficit hyperactivity disorder can be found in both kids and adults. Unfortunately, ADHD isn’t tied to gluten sensitivity by medical doctors. When placed on the gluten-free diet, the symptoms improve – all without any medical intervention. Various integrative medicine doctors in Carbodale, CO work with patients who suffer from ADHD. It makes sense that if gluten sensitivity can cause ADHD that it can lead to other issues with the mind, such as brain fog. This is when you’re incapable of thinking clearly. In some instances, you may feel out of it or disconnected from what’s going on around you. The connection to gluten sensitivity was made in a study done back in 2002. There are a number of autoimmune diseases out there, some of which have been tied to gluten sensitivity. Research shows that all the autoimmune diseases gluten has been connected to can be prevented by eliminating gluten. If you catch it early, you can prevent the full onset of the autoimmune disease. Those who have gluten sensitivity or Celiac disease sometimes have problems with immunity to other things, causing them to become sick more frequently. This is mainly found in Caucasians and is due to a deficiency in IgA, which is group of antibodies that act as your body’s first line of defense against foreign invaders. If you currently suffer from gluten sensitivity, then consult with an integrative medicine Carbondale, CO about natural treatment options.